Rinse ½ cup of millet and combine 1½ cups of water. Bring to a boil, then reduce to a simmer. Cook for until water is absorbed, 15-20 minutes. In a dry skillet, lightly toast pine nuts. Set aside and let cool slightly. In a food processor, pulse garlic. Add in basil, pine nuts, parmesan cheese, olive oil, and lemon juice. Pulse until well combined, adding more olive oil/lemon juice as needed. Finally, bring a pot of water to a boil and reduce to a fast simmer. Add eggs and let cook for 5-7 minutes (5 minutes for runny yolks, 7 minutes for slightly firmer yolk). Remove and place in an ice bath for 60 seconds. 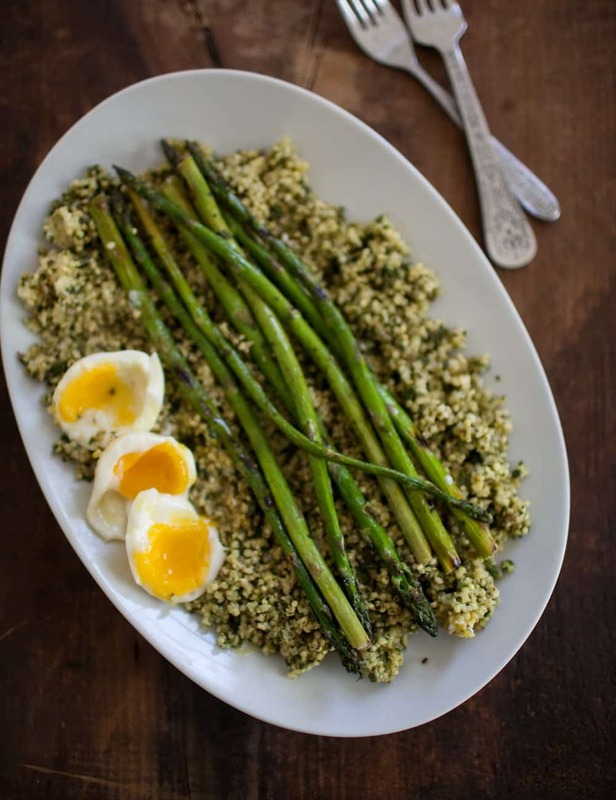 Toss together millet and pesto, spread onto platter. 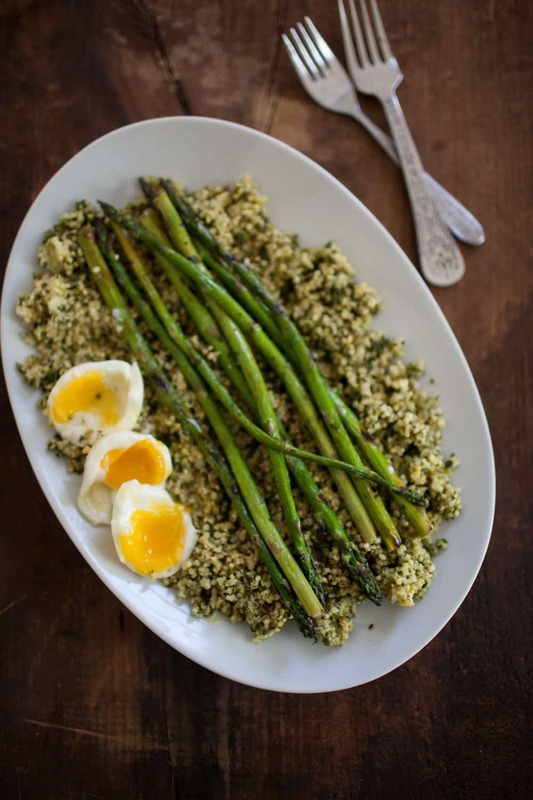 Top with grilled asparagus and serve eggs on the side. Asparagus can also be roasted or cook in a regular pan. Parmesan is not vegetarian, leave out if desired. What a lovely spring combination! I love everything about this meal! This is really beautiful, love the combination. 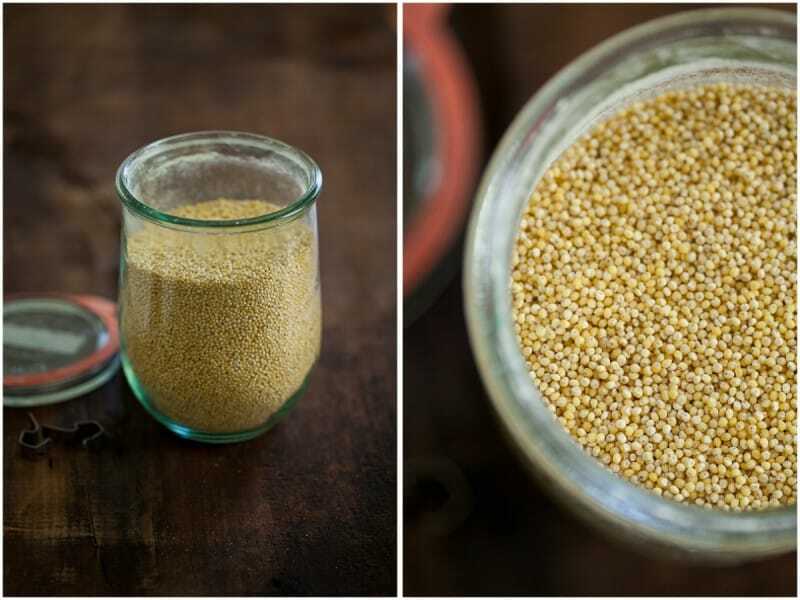 Millet is such an interesting ingredient! Why is parmesan not vegetarian? Isn’t it just cheese? I love the looks of this recipe! Beautiful photos. I kinda like there were no words with this post… the pictures say it all! This is exactly the type of lunch I like best–simple veg and grains and protein with an intense flavor. 🙂 Hooray! So simple, so pretty and so perfect! I love everything about this meal! No words necessary–this is simply perfect!! I just made this for dinner tonight! I’m in Genoa, Italy, home of pesto, so that part was covered. 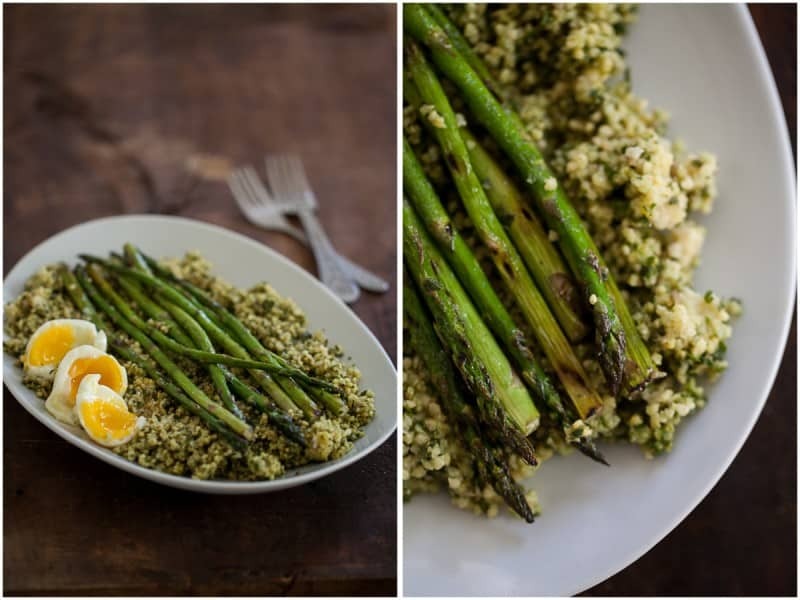 No millet here, so I used farro – worked really well! Delicious. This looks like a great recipe. I’ve been wanting to learn how to cook with millet. Seems pretty straight forward! 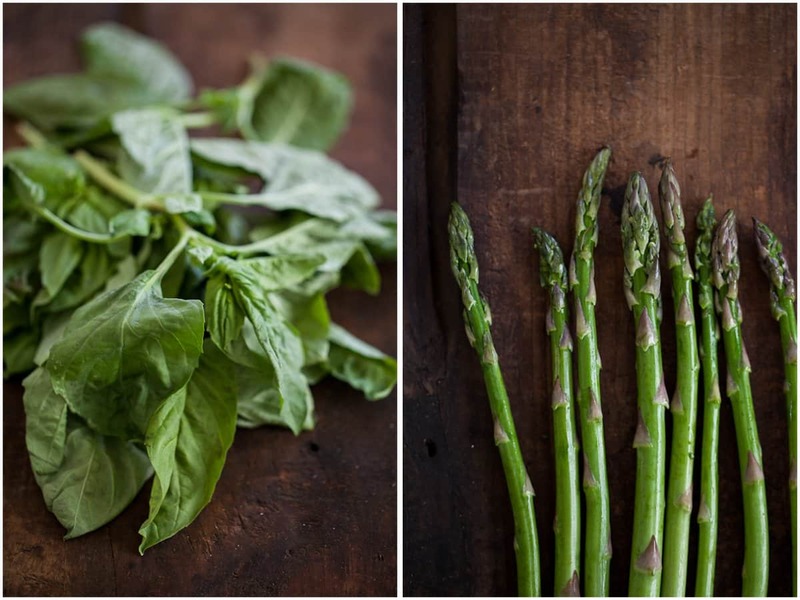 An idea to make this recipe even more spring-seasonal: make radish-green and garlic scape pesto instead of the basil…it’s strong but delightful! (I’ve made the pesto with either or both ingredients, and usually skip the nuts to make the whole thing more affordable…I don’t miss them!) Thanks for all your great ideas and pictures. I always get inspired by your site! where can you get more recipes using millet? where is a good place to order millet online? Hi Ami, I almost alway order from Bob’s Red Mill for grains.